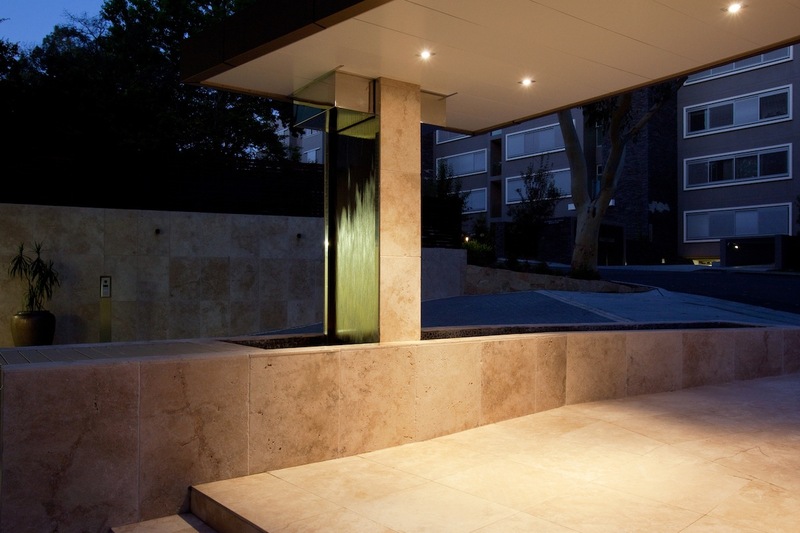 Designed in concert with this prestige Sydney residential development’s architects this Sunset ‘weeping wall’ at the complex’s doorway exudes a cool and calming ambience on all who enter. 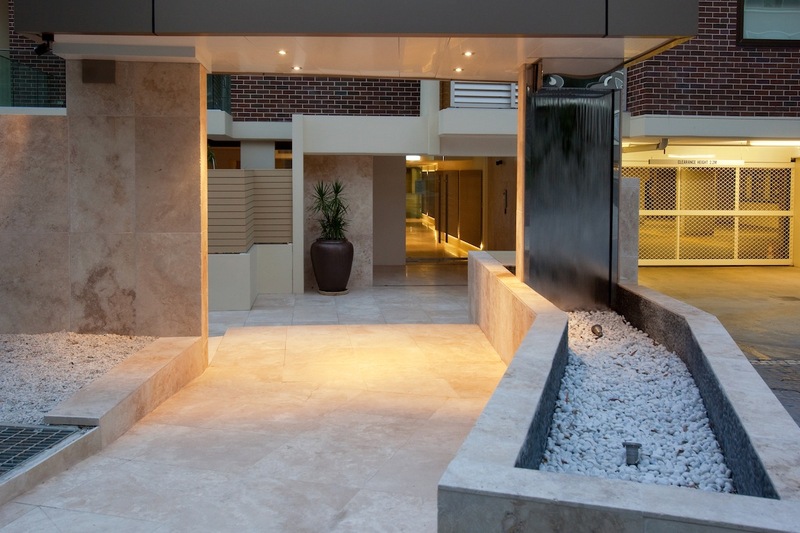 Creating a shimmering liquid contrast within this apartment block’s marble entry portico, Sunset Pools’ integrated water wall feature also subtly masks the area’s ambient traffic noise. 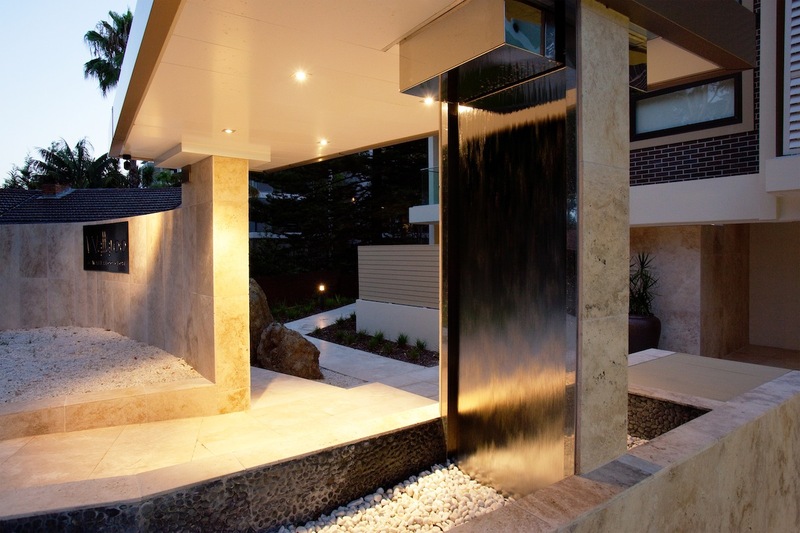 Sunset Pools water feature’s hydraulic design incorporates a balance tank to maintain consistent fall, plus automated satiation and filtration to minimise maintenance. 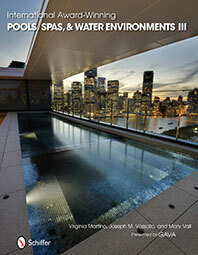 To discover why accomplished architects and local authorities choose Sunset Pools’ to develop and construct bespoke water features that add value and prestige to residential and municipal environments. Call 1300 000 412 or complete the enquiry form today. Sunset creatively incorporates the calming and hypnotic effects of water in both indoor and outdoor environments where a specialised bespoke water feature will add an enchanting and distinctive extra dimension to your landscape or interior. 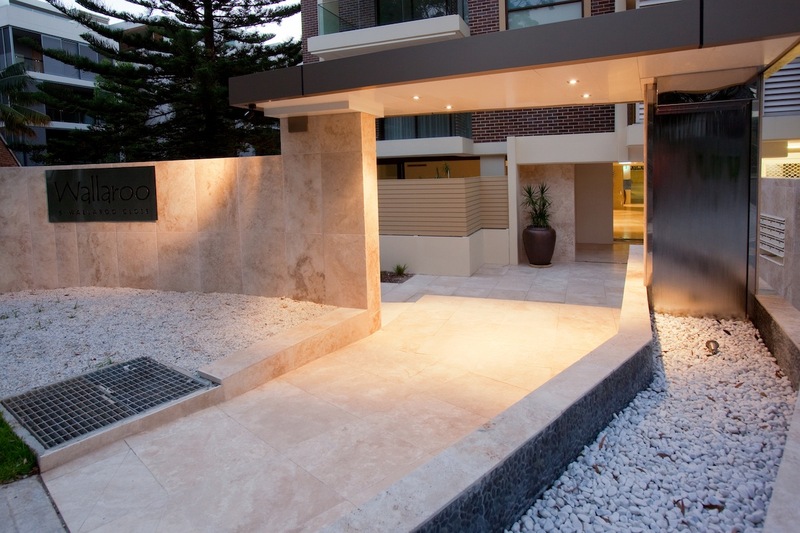 Sunset Pools’ weeping walls create a hypnotic sparkle on any vertical surface and can be conceived as either a focal element within a natural environment or building interior, or alternatively as here incorporated as an architectural component. The mesmerising properties of water can be juxtaposed with natural or polished stone, gleaming stainless steel, glass, ceramic tiles or brickwork. When developing your water feature with Sunset Pools you will enjoy an almost infinite choice of size, material selection and finishes. To understand why discerning architects, local authorities and construction engineers enrol Sunset Pools’ expertise when developing water features within both contemporary and heritage environments. Call 1300 000 412 or complete the enquiry form today.